Last week I watched a fascinating episode of the ABC TV program catalyst which was all about interval training and the mitochondria in our cells. It wasn’t specifically about cycling, more about exercise in general and how it can benefit our bodies as we age. But I think it has huge implications for cyclists and the way we choose to train. It certainly supports the idea that interval training can play a huge role in exercise programs. Why do we lose energy as we grow older? Why are some of us prone to disease? Why do our bodies deteriorate with age? The answers to some of the most intriguing questions about life may be found in parts of our body a billion times smaller than a grain of sand. Mitochondria. 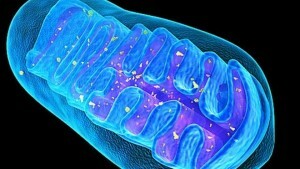 Mitochondria are critical for health. The more mitochondria you have, the lower your risk for developing many chronic diseases. There’s no question that exercise alters the course of ageing. The assume that the improvement in mitochondrial function is orchestrating many of the benefits. To many of our body’s proteins, enzymes and DNA, oxygen is actually a destructive molecule. So why, then, do we crave it so badly? As if fills our lungs and circulates through our blood, oxygen has a very specific destination – the tiny powerhouses of our cells called mitochondria. The average individual may have literally billions of mitochondria in their skeletal muscles, and in the trained individual even more. And it probably comprises 10% of an individual’s body mass. So it’s a fair old proportion. Mitochondria use the corrosive power of oxygen to strip electrons from the food we eat to create energy in the form of a molecule called ATP. Extraordinary energy. It’s a good measure of the metabolic health of your muscles. So we know, for example, with endurance athletes that they’ll have a very high VO2 max, and people who sit on the couch, they’ll have a very low VO2 max. Hi Nicola, great article. I am a late starter to cycling at 54 (seem to be a rare breed) and the difference it has made to my health has been incredible. I went to a talk by a Medical Scientist the other day about new discoveries in the field of intestinal bacteria and the role good bacteria can play in helping to “switch on” the mitochondria in our cells.